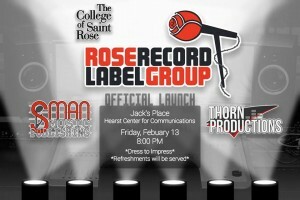 Rose Record Label Group Launch! 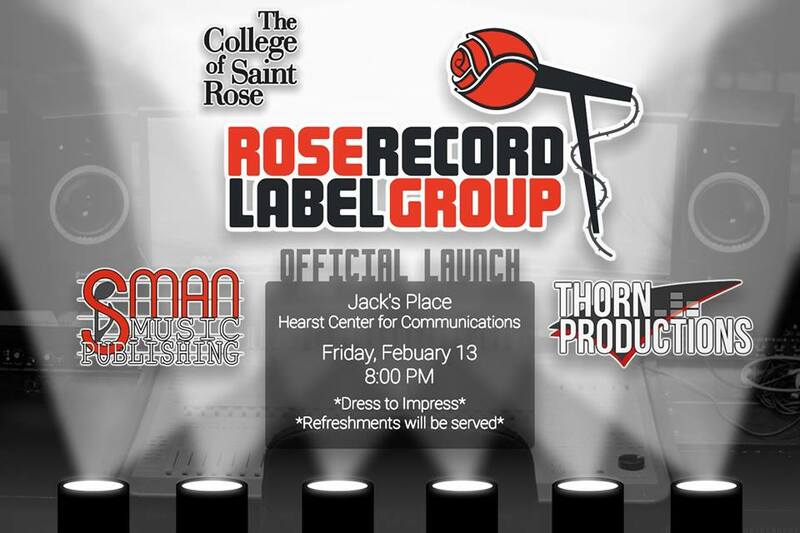 The day is here: the Rose Record Label Group is holding its official launch party! It’s been a work in progress for almost a year now, but this student operated record label is fully functional and ready to present itself to the public! Ellie Decker, a senior in the music industry program, had the idea for this endeavor sometime during second semester last year. Thanks to help from Dr. Sean McClowry and several other student members, including Stacia Burns, Natalie Frontiero and many others, the project is coming to fruition! The event will be held in Jack’s Place, located inside the Hearst Center. Things kick off at 8pm but you should get there early to mingle with the minds behind this fantastic undertaking by our music industry students! Remember to dress to impress, as this is a semi-formal outing: that means no jeans and band-tees, Zak!!! I am very excited to see what this very capable team of people have put together and for all that is to come after this official launch! See you all at the party!